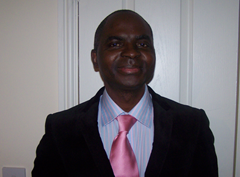 Mr Ajekigbe is a Consultant Hand and Wrist Surgeon with years of experience in Plastic and Reconstructive surgery. I have trained extensively in Plastic and Hand Surgery under the Supervision of both Plastic and Orthopaedic Hand Surgeons in Yorkshire (1990/91) and the North East of England (1991-2011). I have been an independent practitioner in Plastic and Hand as an Associate Specialist since 1997 and I got admitted onto the Specialist Register for Hand Surgery (2011) by obtaining the Certificate of Equivalent Specialist Registration in Hand Surgery. I have been involved in Clinical research and presented and published peer-review papers in both Hand and Plastic Surgery. I was an Honorary Visiting Lecturer, School of Health, University of Teesside (2001 to 2005), participating in the running of their MSc (Musculoskeletal) programme. I passed the European Diploma Examination in Hand Surgery in 2004 , obtained the Certificate of Eligibility for Specialist Registration(CESR) in Hand Surgery in 2011 and was admitted to Specialist Register for Hand Surgery the same year. I have attended and been certified in all the Instructional Courses in Hand Surgery organised by BSSH. 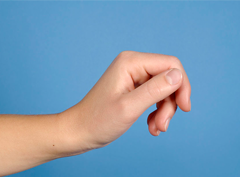 This is in addition to the fixation and regular updates courses at Pulvertaft Hand Centre and Leicester respectively and Microsurgical and Flap Courses at Canniseburn Plastic Surgery Centre, Glasgow. I have attended and/or presented papers on Hand Surgery at Regional Plastic Surgery Meetings( 2002,2005,2006,2007 etc) BSSH(1998,2001,2010,2012,2014 etc) & FESSH (Budapest, 2004, 2012 &2014) respectively. I have also published papers on Hand Surgery in peer-reviewed journals. My clinical interests are in Trauma- acute and post injury reconstruction, degenerative diseases, compression neuropathies and non-surgical management of Wrist Ganglions and Dupuytren’s disease respectively, including the use of Xiapex. I published the experience of using Fibrovein as a sclerosant in the treatment of Wrist Ganglions (2006). In addition to routine training of rotating Plastic and Orthopaedic trainees, I have been involved in formal educational activity as a Visiting Lecturer to School of health, University of Teesside by participating in the MSc. (Musculoskeletal) Programme.